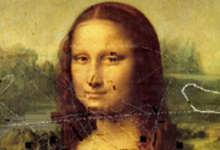 Antoine Schmitt's white pixel slides onto Leonardo de Vinci's Mona Lisa. 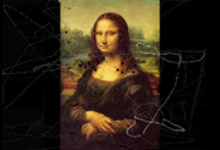 We both speak of creation, painting, and of our recent investigations, our relationship with art. Now, our conversation takes shape.